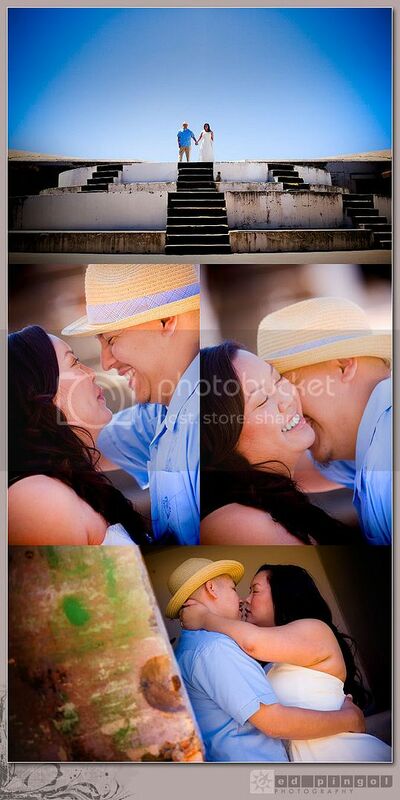 denise and clarence, mutual friends of our's, decided to gift an e-session for vi and vince as their wedding gift. (they're such cool friends!) vi and vince are newlyweds, having recently had their civil ceremony, and will be on their way to cabo san lucas for their intimate destination wedding in a couple of weeks. when they asked if they could bring their bridal attire, we assumed that vince had already seen vi in her wedding gown, though he had not! of course, we had to set up a a "first meeting" that we encourage all our couples to do just before the wedding ceremony, so they can have a few private moments to enjoy their "first glance" of one another and have it captured on camera. 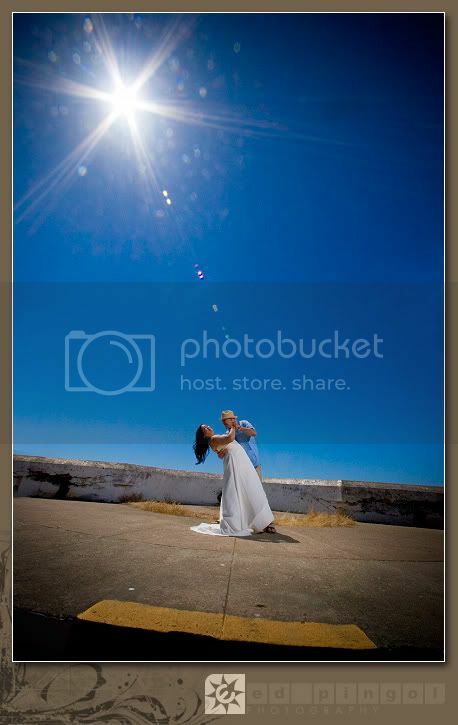 so instead of a "trash the dress" session, i like to call this their "keep-the-dress-clean" pre-shoot. baker beach was again the selected location and again, we were graced with awesome weather! (and several "full moons" of the nudists hanging out, enjoying the day.) the barracks provide a great backdrop, giving the scene a rustic, old-world spanish feel, a prelude to their destination wedding in mexico. and we couldn't help but take advantage of the platform with stairs, creating the illusion of a wedding cake tiers. this couple makes a beautiful cake topper! congratulations, vi & vince! have a beautiful and fun wedding ceremony in mexico! 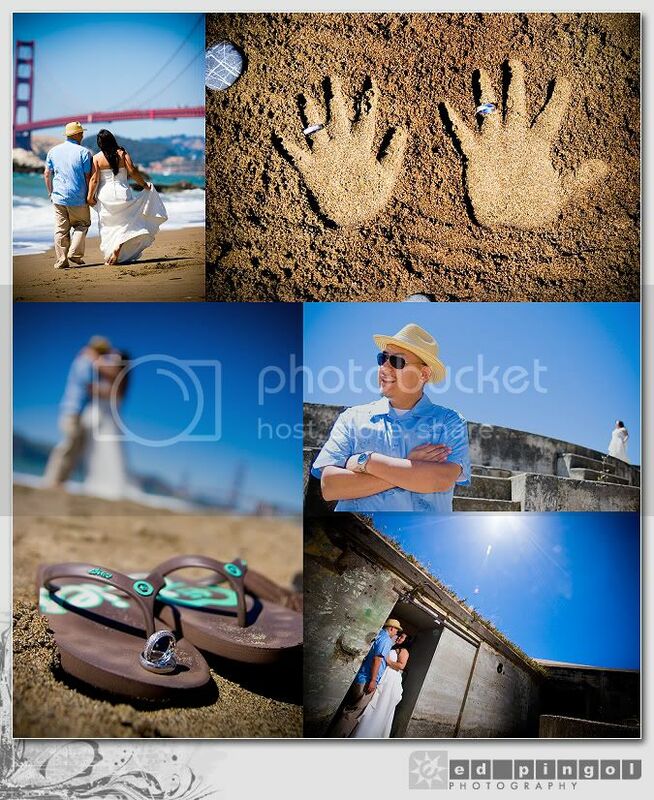 stealing away into a secluded area of baker beach and the "wedding cake"